Standard height: 300 mm ~ 1200 mm in pitch of 100m m.
Standard width: 300 mm ~800 mm in pitch of 100 mm. 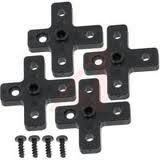 Standard base: As per requirement. Standard depth: 200 mm ~ 600 mm in pitch of 50 mm. Usage: POS, Customer feedback, education, health-care, corporate, retail and point of sale environments. 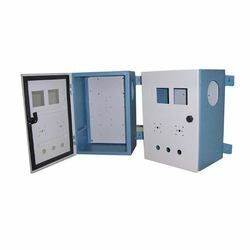 With the aid of modern machinery, we provide our patrons with the finest grade of Wall Mounted Enclosure. Used in storage of various materials, the offered product is easy to operate and required low maintenance. The offered Wall Mounted Enclosure are crack proof and durable.